NACCHO Aboriginal #HealthBudget17 : #Budget2017 Are we investing enough in #healthyfutures to #closethegap ? 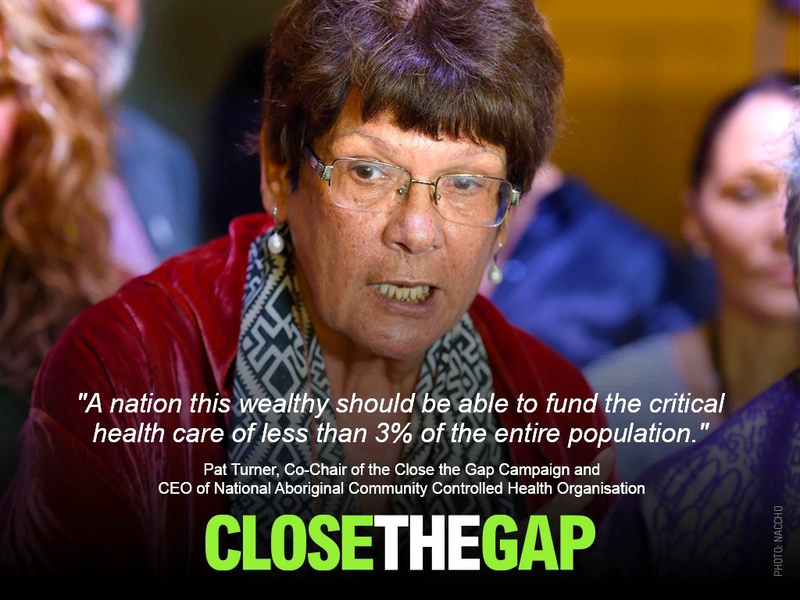 ‘It is unacceptable that Aboriginal and Torres Strait Islander peoples continue to have poorer health and a much lower life expectancy than the general population, and that this Budget has overlooked that massive inequity. COAG’s recent re‑commitment to prioritising improving outcomes for Australia’s First Peoples should have been supported by appropriate funding and support for locally developed responses. ” Reconciliation Australia is concerned with the lack of a clear plan to close the gap, and to take the next steps toward constitutional recognition and treaty. 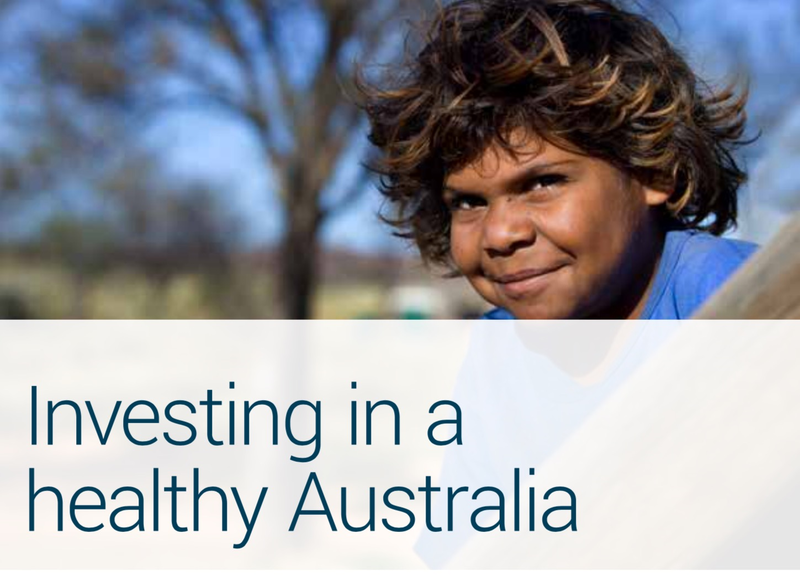 Picture above from Government Budget Brochure Page 15 Investing in a healthy Australia but does not mention Aboriginal /Indigenous Health. Dr Gannon said that tonight’s Health Budget effectively ends the era of disastrous co-payment and Medicare freeze policies, and creates an environment for informed and genuine debate about the numerous other areas of unfinished business in the health portfolio. “We are also particularly pleased that the Government has listened closely to RDAA and opted not to include the Indigenous Health Incentive and Procedural GP Practice Incentive as part of the Practice Incentives Program (PIP) Quality Improvement Incentive measure. Significantly, the 2017-18 Budget puts a strong focus on mental health and preventive health-key elements of our Long-Term National Health Plan. The Turnbull Government is building on its mental health reforms by delivering another boost of more than $170 million for mental health support, treatment and research. This includes $80.0 million of additional funding, contingent on matched commitments from the states and territories, to maintain community psychosocial services for people with mental illness who do not qualify for assistance through the National Disability Insurance Scheme. People living in rural and remote regions of Australia will now receive significantly improved access to psychologists, under a new $9 .1 million telehealth initiative set to roll-out later this year. ‘Medicine’ budget – not a health budget: Where is the investment on tackling obesity, tobacco and alcohol? The Prime Minister’s rhetoric on prevention falls way short when looking at the expenditure in the budget. In February the Prime Minister announced a focus on prevention and was followed shortly after by the Health Minister commitment to “tackling obesity”. The three most significant causes of ill health in Australia are tobacco, alcohol and poor nutrition – yet these barely receive a mention in the health budget. The Public Health Association of Australia (PHAA) expressed disappointment in the lack of investment in prevention. Expenditure on prevention is likely to remain close to 1.5% of the health budget while the major issues of tobacco, obesity and alcohol remain with minimal increases in funding compared to the investment to remove the freeze on the Medicare rebate Australia is lagging considerably compared to places like Canada and New Zealand where over 5% of the health budget is committed to prevention”. It is disappointing to see that there will effectively be no increase to the percentage of funding for preventive health in the Budget. This is particularly disappointing considering the announcement by the Prime Minister and the Health Minister in February that there would be a new focus by Government on prevention. By directing health funding toward the root causes of diseases, particularly those which are largely attributable to environmental factors such as obesity, alcohol and tobacco the general health of the population will increase significantly. This is why the PHAA proposes that preventive health should compare favourably to countries like Canada and New Zealand with prevention at 5% of the Health Budget. Although there was some good news on tobacco the failure to provide adequate funding for public education on tobacco is deeply disappointing. This is an area where the government has dropped the ball in recent years. They receive around $10bn p.a. from tobacco revenue, but have failed to restore funding for the crucial media campaigns needed to underpin smoking prevention, especially for people in vulnerable and lower socio-economic groups where smokers are concentrated”. “Obesity is currently the second highest contributor to the burden of disease in Australia which costs billions to the public and private sectors annually, and it’s time we seek a proactive solution,” according to Michael Moore. However, PHAA cautions that these are not the types of structural interventions required to fully address the problem, which are necessary if the Government is genuinely committed to tackling obesity as was announced by the Prime Minister in February this year. “A levy on sugary drinks has proven benefits which we’ve seen in other nations like Mexico which have adopted this approach, therefore it is an essential preliminary step toward controlling the obesity epidemic”, Mr Moore said. The introduction of a sugar levy would also have delivered additional funds which would have allowed further investment in prevention around obesity and other diet related disease. The PHAA strongly advocates for a national, coordinated plan to tackle the problem of obesity in Australia, which has become a leading issue due to its high prevalence and severe associated health and social impacts. As expected, the government has announced a progressive lifting of the Medicare rebate freeze. Together with removing the bulk-billing incentive for diagnostic imaging and pathology services, as well as an increase in the PBS co-payment and related changes, this will cost a total of A$2.2 billion over the forward estimates. $1.4 billion for health research, including $65.9 million this year to help research into children’s cancer. All up, these commitments equate to A$10 billion. As foreshadowed in pre-budget leaks, the government is slowly unthawing the Medicare rebate freeze, but at a snail’s pace. At a cost of A$1 billion over the forward estimates, indexation for Medicare items will be introduced in four stages, starting with bulk-billing incentives from July 1, 2017. General practitioners and specialists will wait another year – until July 1, 2018 – for indexation to start up again for consultations, which make up the vast bulk of general practice revenue. Indexation for specialist and allied health consultations is slated to start from July 1, 2019. Certain diagnostic imaging items (such as x-rays) will be the last cab off the rank. Indexation will start up again from July 1, 2020. There is no mention of reintroducing indexation for pathology items. This may be due to the recognition that there is money to be saved in pathology. Regardless of the reaction of medical lobby groups, it is too early to tell whether this glacially slow reintroduction of indexation will be enough to keep bulk-billing rates at their current levels. Practice costs and income expectations of staff have not increased dramatically over the freeze period as the Consumer Price Index has been moving slowly. But each additional day of a freeze means costs and revenues fall further out of alignment. The jury will be out for a while on whether reintroduction of indexation is enough to restore the Coalition’s tarnished Medicare credentials with voters. Certainly, the slow phase-in may attract cynicism, with a legitimate perception the government is doing the minimum necessary and at the slowest pace to ensure the issue is off the agenda before a 2019 election. There is no sign in the budget that the government has sought any trade-offs from the medical profession in exchange for the reintroduction of indexation, so we will have to wait to put in place better foundations for primary care reform. Since its inception, a number of bitter political battles have been fought over how the National Disability Insurance Scheme should be funded. Many have been nervous the current Productivity Commission review of the costs of the scheme could lead to a scaling back of the NDIS before it is fully operational. The NDIS operates under a complex funding arrangement split between federal, state and territory governments. Until now it has been unclear where the federal component of this commitment will come from, and a significant gap was emerging from the middle of 2019. Today’s budget promises to fill this funding gap, in part through an increase by half a percentage point in the Medicare levy from 2% to 2.5% of taxable income. Of the revenue raised, one-fifth will be directed into the NDIS Savings Fund (a special account that will ensure federal cost commitments are met). A commitment has also been made to provide funding to establish an independent NDIS quality and safeguards commission to oversee the delivery of quality and safe services for all NDIS participants. This will have three core functions: regulation and registration of providers; complaints handling; and reviewing and reporting on restrictive practices. While such an agency will be welcomed by many, the devil will be in the detail as to whether it is possible to deliver this in practice. But how has the Government prioritised Indigenous spending? The Indigenous Affairs Minister, Nigel Scullion, said in a statement that his department’s major focus is to drive jobs, growth and investment of Aboriginal and Torres Strait Islander people by supporting them into employment and growing the Indigenous business sector. Here’s how Indigenous Affairs measured up. The government will redirect $146.9 million over four years from Indigenous Business Australia to the Department of the Prime Minister to facilitate the delivery of innovative and effective support for Indigenous businesses and entrepreneurs. The government will also extend and expand cashless debit card trials. The two trial sites in Ceduna, South Australia, and the East Kimberley, in Western Australia, will be extended for a further 12 months, until 30 June 2018. To help close the employment gap, the government says it will inject $55.7 million over the next five years to reach the employment target. The government will provide $55.7 million over five years from 2016-17 to help meet their Closing the Gap employment targets for Indigenous Australians. This measure will enable stronger engagement by employment service providers with Indigenous communities and provide enhanced support for Indigenous participants. • $5.0 million over four years from 2017-18 to support the implementation of community-designed and delivered employment services in Yarrabah, Queensland. • Immediate access to increased wage subsidies (from $6,500 to $10,000) for Indigenous participants to better support their employment outcomes, with funding to be met from within the existing Wage Subsidies Funding Pool. To help close the gap in literacy achievement, the government will provide $5.9 million over four years from 2017-18 to trial the use of digital applications to improve English literacy outcomes for Aboriginal and Torres Strait Islander children. The trial will be undertaken over two years, 2019 and 2020, in 20 preschools around Australia. The government will provide $52.9 million over four years to implement a whole-of-government research and evaluation strategy for policies and programs affecting Indigenous Australians, including the establishment of an Indigenous Research Fund. • $40.0 million over four years from 2017-18 to strengthen evaluation of the Indigenous Advancement Strategy. • $10.0 million over three years from 2017-18 to establish an Indigenous Research Fund that will add to the Indigenous policy evidence base. 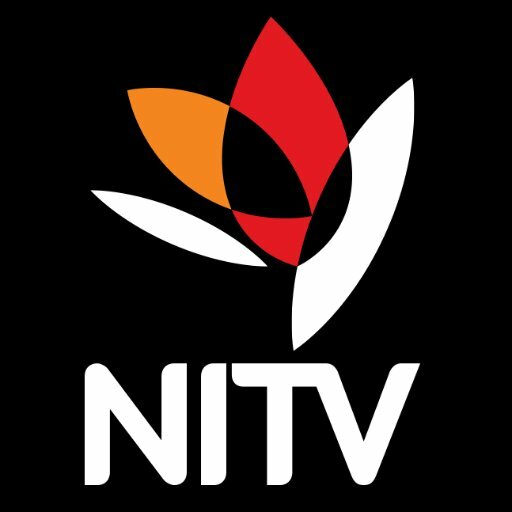 • $2.9 million over four years from 2017-18 for the Productivity Commission to enhance its role in Indigenous policy evaluation and to expand the Commission to include an additional Commissioner with relevant experience in Indigenous policy. While the government will continue to sell its budget, time will only tell its true effect on Indigenous Australians. Australian Healthcare and Hospitals Association (AHHA) Chief Executive Alison Verhoeven. ‘It is time to make prevention a more prominent part of the Commonwealth’s health agenda, and acknowledge that more is needed than just spending on sports and exercise programs —you can’t have a healthy economy or healthy budgets if you don’t support a healthy population. The Rural Doctors Association of Australia (RDAA) has welcomed key elements of tonight’s Federal Budget, saying it shows recognition by the Federal Government of key concerns of RDAA and other medical groups, as well as recognition of the importance of the primary health sector in keeping Australians healthy and out of hospital. “Overall, and certainly compared with previous federal budgets, this is a good budget for the health sector” RDAA President, Dr Ewen McPhee, said. “Having said that, more work is required to fully address rural health issues, and we look forward to working with the Government to achieve this. “We strongly welcome the Government’s decision to lift the indexation freeze onMedicare patient rebates, commencing with bulkbilled incentives for GP consultations from 1 July this year; standard GP consultations and other specialist attendances from 1 July 2018; specialist procedures and allied health from 1 July 2019; and targeted diagnostic imaging services from 1 July 2020. “We would have preferred the freeze to be lifted in full immediately, but we accept the approach of the Government in lifting it incremently over forthcoming years. “The lifting of the freeze on bulkbilled incentives for GP consultations will particularly benefit many rural and remote patients who rely strongly on bulkbilled consultations to afford their medical care. “This will mean that only general practices that are actively providing Indigenous healthcare and/or procedural GP services to their communities will continue to have access to the important funding support provided under these specific areas of the PIP. “We also welcome some added support for the Health Care Homes initiative, through delaying the introduction of the initiative until 1 October 2017 for a first tranche of practices and until 1 December 2017 for a second tranche. A general practice research pilot will also support practices to provide continuity of care for their patients across the health system. It is also good to see funding support for community pharmacies to participate in the Health Care Homes initiative. “We believe, however, that additional funding support for practices will be required to ensure the Health Care Homes initiative is fully successful. “We welcome acknowledgement by the Federal Health Minister, Greg Hunt MP, that as part of a forthcoming second wave of the Government’s National Health Plan, there will be (amongst other things) a focus on addressing health workforce maldistribution between urban and rural areas. “As part of this focus, and in line with a major initial focus of the National Rural Health Commissioner role (the legislation for which is anticipated to soon be passed by the Senate), we will be keen to see significant funding committed in future federal budgets to the development and rollout of the Government’s promised National Rural Generalist Program. “This Program will be essential in delivering to rural and remote Australia the next generation of doctors with advanced medical skills — including in obstetrics, anaesthetics, general surgery, emergency medicine, advanced mental healthcare and Indigenous healthcare. “We welcome funding already announced by the Government that will ensure rural and remote patients benefit from increased access to psychology services via Medicare funded video consults with distant psychologists. “Additionally, we welcome significant additional funding in the areas of both Aboriginal and Torres Strait Islander health, and mental health. “It was great to see Minister Hunt attend tonight’s Health Budget lockup to address health sector stakeholders — it underlines the consultative approach that he, along with the Federal Assistant Minister for Health, Dr David Gillespie MP, and the Federal Minister for Aged Care and Indigenous Health, Ken Wyatt AM MP, have been adopting in developing an holistic plan to take healthcare in Australia into the future.